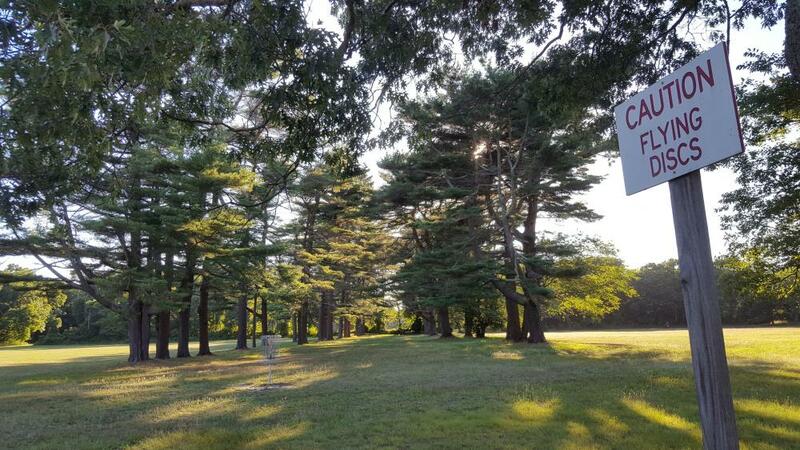 On 50 gorgeous acres in Long Island's Heckscher State Park, this course has long open fairways, tight wooded technical shots and everything in between - providing championship caliber challenge and diversity. Eastbound on Southern State Parkway turns into Heckscher Parkway which runs directly into the park. 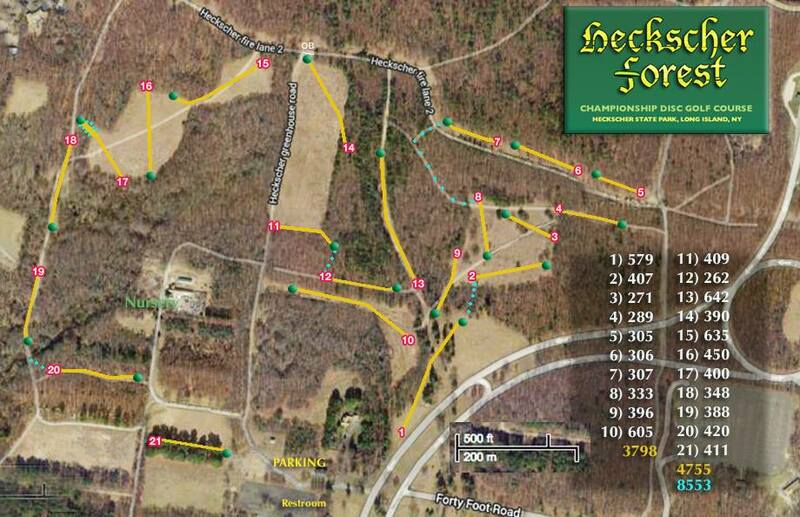 Course located at field #3. Park in lot closest to the barn. Hole #1 is located along approaching road. Walk past barn toward the road continuing left along the grass to the first tee. Solid course. I don't know that I would call it championship caliber yet, but a fun course to play. Holes laid out well with ample signage which is much appreciated so half your day isn't lost backtracking and wandering around looking for tees and baskets. If you live in Queens or Brooklyn, it's nice to have an attractive option that doesn't require driving through the heart of the city traffic to get to a course worth the effort to play. Personally would combine some of the shorter holes on the front nine to add length and just scale it back to 18 holes instead of 21, IMHO. That said, great work fellas. Good course.